W elcome! Written over 3 years ago, it is now that we finally present a special spin-off story, the story of Ewan and Brianna, son and daughter of Link and Zelda. 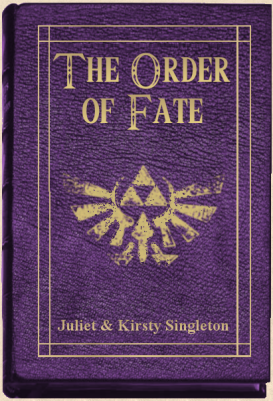 Hyrule's history grows dark once more, in an epic tale of love and betrayal. Leigh Temple makes a return, and Ganondorf's carefully laid plans from Zelda: Requital finally come into effect. All your favourite characters are here, plus many new ones. We wrote it especially for you, the fans, please enjoy! Prince Ewan, son of Link and Zelda is 21 years old. His sister Brianna is 15. For many years, the land of Hyrule has enjoyed a peaceful existance with little to threaten the normal, everyday lives of its inhabitants. However, far away, in the depths of Benlucca, a new evil has risen. And his father, Ganondorf Dragmire, is finally calling him to his destiny - Hyrule. An old face returns to North Castle; none other than Leigh Temple, who mysteriously vanished over 15 years previously. She is not welcome by old enemy Zelda, but one man is elevated by her appearance; Ewan. He finds himself falling in love with the beautiful avatar and cares not what his mother, father or anyone else thinks. Molasar Dragmire arrives in Hyrule to free his father from the conefinement of the sword Leigh and Zelda imprisoned him in, but is distracted by the beautiful Brianna. She too, is captivated by him, unknowing that he is the son of her parent's mortal enemy. And on the fateful day she pledges her love and leaves Hyrule's shores to join Molasar in his Gerudo Kingdom, Hyrule is thrown into a dark evil that not even Link and Zelda can prevent.